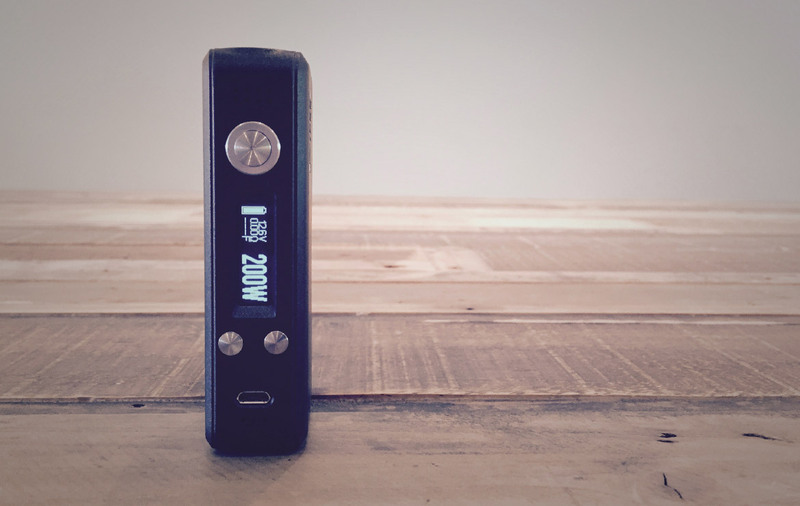 Hcigar has brought one of the most widely available DNA 200 mods to market before a lot of the competition and it’s a great mod! You may need to get over its looks though. With Evolve now doing a lot of business in China, companies like Hcigar now have access to their latest chips and the VT200 is a great example of how this new relationship with US manufacturers will benefit us all. It means great tech with cheaper manufacturing costs and it also gets the products in our hands faster (mass production) at more affordable prices. The VT200 is simply a great mod. 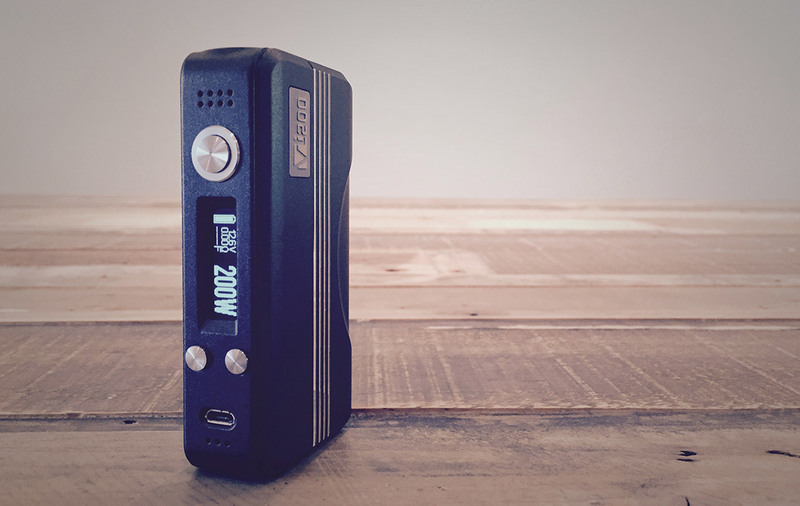 The aesthetic isn’t for us, it’s a little busy and over branded for our tastes but it is a great mod to get you into the world of the DNA 200. Build quality is very good, it has a solid feel and is made of quality aluminum that seems to have a rather durable powder coated finish. In the couple weeks we have had it we have yet to see any signs of wear and tear. Buttons feel awesome and we love the little spiral texture on them. There is no rattles of any sort and it feels great in the hand. We find the racing stripes a little sharp but they won’t cut you or anything. It’s a little bigger than some other DNA 200 mods on the market, not a ton but it could be a tad smaller. Evolve has lived up to their name and evolved the chipset to a new level. This chip kills anything else on the market currently. It hits quick and hard and being powered by a lipo battery seems to make a big difference. We swear some of our attys not only perform better they taste better on this mod. It is most likely due to less voltage drop and faster power delivery. Another huge benefit to the Lipos are the weight, this mod is feather light compared to a dual 18650 mod. Evolve’s Escribe software works great, not the prettiest user interface and a lot of settings you may never touch, but it is great for setting your own custom graphics and atty profiles (8). We have had no issues using the software on a Mac using a Parallels Windows 10 install. Battery life is another game changer, gone are the days of leaving the house with extra batteries. You can get a whole day (12hrs) at 50-60W thanks to the 1300 mAh internal battery. This is a big deal for this price point and something to pay attention to when thinking about a DNA 200 device. A lot on the market only offer 900 mAh (including the Vaporshark) and we strongly suggest you demand more for your money and vaping pleasure. You can expect a lot less battery life with a 900, most likely about 7-8hrs total. Some do offer zip charging which will fully charge the battery in 1.5hrs which is better than the VT200’s 3hr charge time. 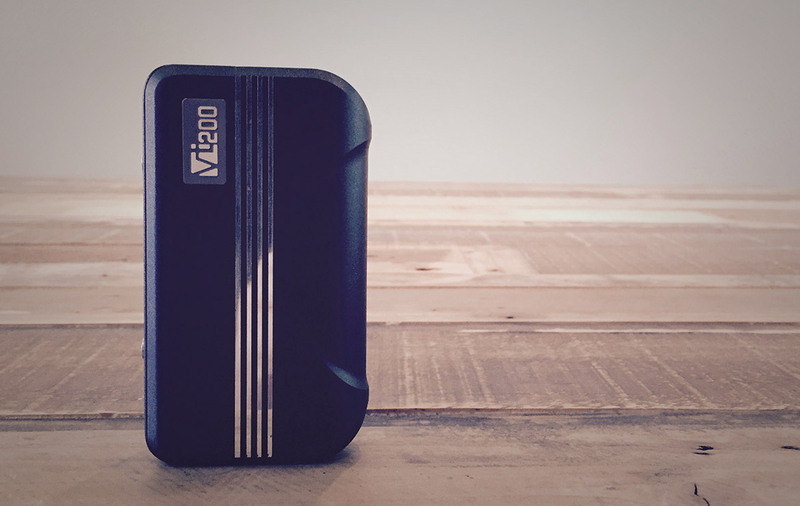 VT200 is a no brainer! 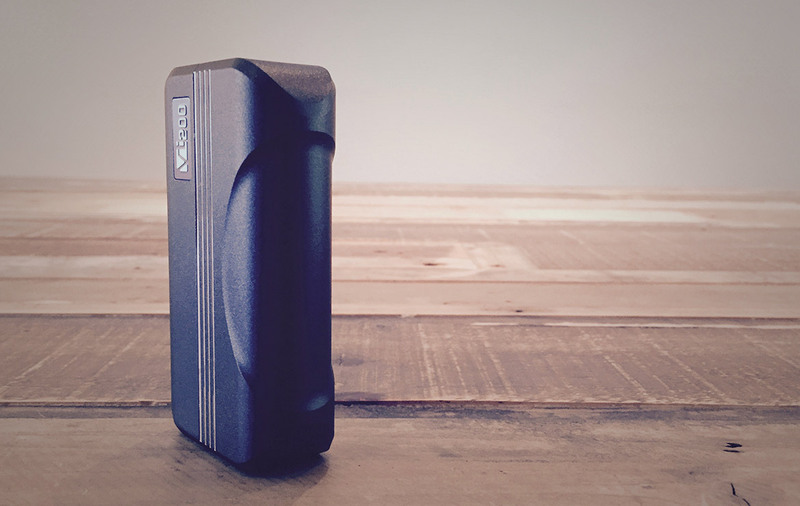 Like we said it’s a great mod and a perfect introduction to the new world of the DNA 200. We can’t fault anything other than the design aesthetic which is subjective. The Cons we have listed are not really cons more nice to haves. And it would have a perfect score if it just looked better. 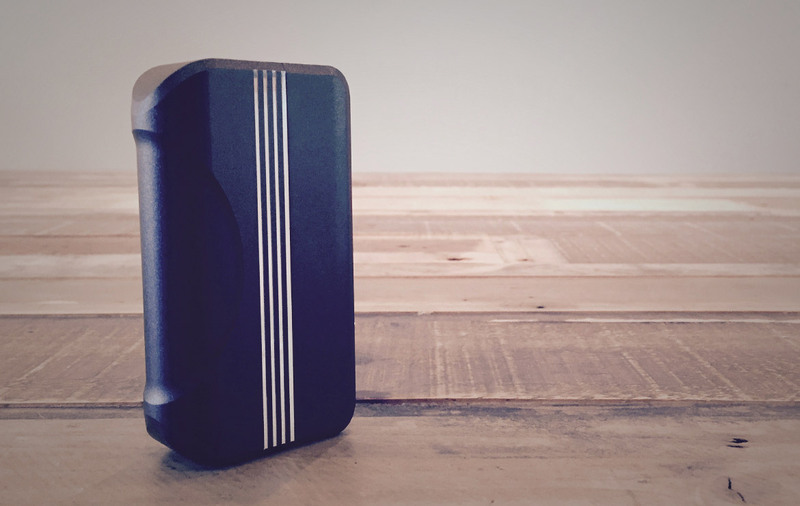 It’s our current go to mod and our new benchmark for what makes a great mod. Our concerns about Lipo batteries also seem to be unfounded, we haven’t experienced any heating of the mod what so ever. One thing with Lipos to keep in mind is they perform best when fully drained before recharging, so wait for your low battery warning (10.1v) before charging to get the most out of it. Right now there really isn’t a better DNA 200 mod on the market for the money. But there is a lot coming soon and one we are very excited about, so if you are happy with what you have you might want to hold out another month or two.